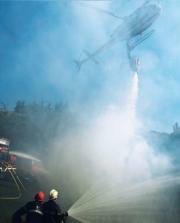 Eurocopter has been taking measures to protect the environment for many years. The creation of the Environmental Affairs Department in November 2008 is now adding fresh impetus to this commitment. Rotor Journal met up with Olivier Jouis, head of the new department. At the European Business Aviation Convention & Exhibition (EBACE) in Geneva, Eurocopter unveiled the first Stylence version of the EC145.